When building a brand, most organisations start with print. However, the web is the perfect place for building a brand and testing different approaches. When writing a series on the processes and methodologies behind web design, the logical place to begin is with building a brand. 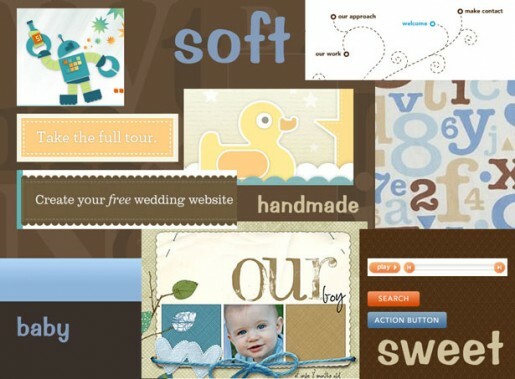 In next week’s post I will look at how to implement an existing brand identity on a website. But what is a web designer supposed to do when there is little or no brand identity to work with? What is a web designer supposed to do when there is little or no brand identity to work with? While some clients come to us with a strong sense of their brand identity, including comprehensive style guides, others have little more than a logo and corporate colour. If brand is the starting point to the web design process, it quickly becomes clear that one size will not fit all. In my last post I referred to this as a series about the process behind designing a website. Upon reflection I believe the word process is misleading. Process implies a logical series of steps that can be applied to every web project in order to produce a finished design. However, issues such as the varying maturity of brand identity makes it clear there is no single process which can be universally applied to web projects. There is no single process which can be universally applied to web projects. 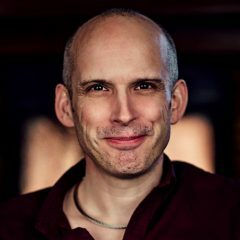 A better word to use would be ‘methodology’, because this implies having a suite of tools and approaches you can call upon when working on a web project. For example the approach we would use at Headscape for an organisation with a well-established brand, would be considerably different than if we were starting from scratch. That is not to say that one approach is better than another. They are simply different. You may presume that having an existing well-established brand identity is the best starting point, but that is not necessarily the case. When developing a new brand identity there is a lot to be said for beginning with the web and then rolling out across other marketing collateral. There are two reasons for this. First, it is far easier to test, tweak and amend design elements online than it is in print. Second, the web offers unprecedented opportunities to measure the effectiveness of your brand identity split testing or other forms of analytics. When developing a new brand identity there is a lot to be said for beginning with the web. It is easy to launch a website that presents slightly different versions of your brand, so that you can measure which performs more successfully. Tweaking colour, typography and imagery is relatively simple when compared to other mediums. This combination of measurability and easy amendments encourages experimentation and iteration in brand development. How then would a web design agency like Headscape go about building a brand identity online? As I’ve already said there is no one size fits all approach. However, there are a number of tools and techniques we use for building a brand online. The process often begins with a branding workshop, where we work collaboratively with the client to explore different branding options. We believe that working with the client is much more effective than working in isolation. We believe that working with the client is much more effective than working in isolation. This is because the client has an understanding of the business and target audience that we cannot hope to match. What is more, by engaging them in the process they feel a greater sense of ownership over any brand ideas developed. Below are the main exercises we would normally carry out in a branding workshop. One of the best ways of stimulating conversation about brand identity is to endeavour to personify the brand. We do this by asking the group; if your organisation was a famous person who would it be? This inevitably generates a great discussion about who best represents the organisation. It is not unusual to end up with two people. The first represents who the organisation actually is and the second who they would aspire to be. This exercise is useful for two reasons. First, it is much easier for a designer to design around personality than abstract concepts. For example, if I asked you to design a website that represents Stephen Fry, it would be much easier than if I asked you to design a website that represented an erudite personality. 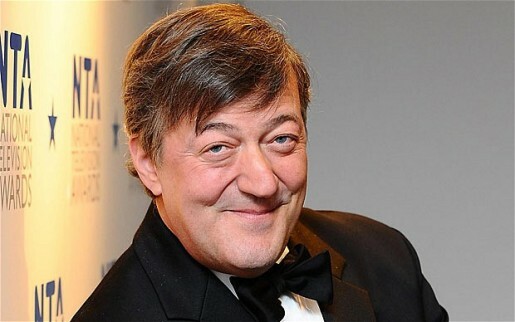 It is easy to imagine what a website that reflects the character of Stephen Fry might look like. The second reason this exercise is useful, is that it leads to a discussion about the personalities characteristics. This generates a list of useful words that represents the individual. In short, the benefit comes not just from who the person is but why they were chosen. We often find that stakeholders struggle to conceptualise and articulate their feelings surrounding a website. That is why sometimes we find it useful to get them thinking about designing an entirely different type of experience. One of the best examples of this is asking them to design a reception area for their organisation. We asked them to select the furnishings, decor and architectural characteristics. 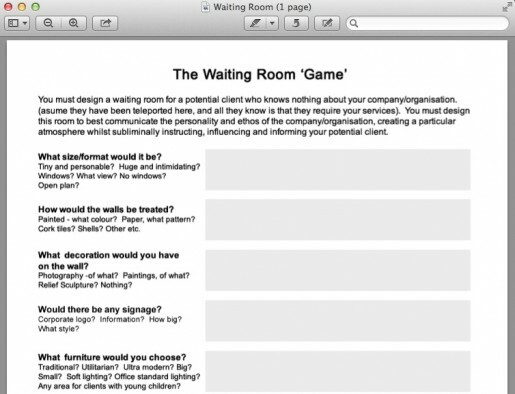 Asking stakeholders to design a waiting room is often more effective than asking them to design a website. The reason this exercise is so valuable is because a reception area is the first experience most visitors have of an organisation. It’s therefore a good snapshot of how the organisation likes to view itself. As with the famous person exercise, it inevitably leads to a list of words that represent the personality of the organisation. When most web designers begin the process of creating a website they will look for inspiration. We believe that the process of looking for inspiration should not just be limited to the designer. We therefore sometimes run an exercise in branding workshop where all stakeholders are involved in seeking out inspiration for the design of the new website. We believe that the process of looking for inspiration should not just be limited to the designer. We point stakeholders at CSS galleries and our own inspiration libraries, asking them to identify websites or webpage elements they feel would be applicable to their organisation. Although we rarely take these design suggestions too closely to heart, the conversations that spring out of this exercise can prove invaluable in identifying a direction for the design. Probably my favourite exercise is to get all of the stakeholders at the branding workshop creating moodboards. We provide access to libraries of typography, colour palettes, imagery and stylistic elements. The stakeholders are then required to combine them into moodboards they feel represent the organisation. Getting stakeholders to create their own moodboards can be an interesting starting point for discussion. As with seeking out inspiration, we do not use these moodboards as a template for the design, but rather as a starting point for discussion. Moodboards created in the sessions are not finalised in any way and no single direction is selected. Instead, it is the starting point for the designer to go away and produce more refined and considered moodboards. We find the branding workshop can produce a lot of valuable content. This content enables the designer to quickly focus on a possible solution and provides valuable material for testing. With all of the input received from the branding workshop, it is a relatively easy process for the designer to go away and define the elements that make up an organisation’s brand identity. Traditionally this would be turned into a branding style guide, but we have found it is often more useful to explore these branding ideas on the website before formalising. This allows us to experiment with branding elements in a real environment, before setting them in stone. Traditionally this would be turned into a branding style guide, but we have found it is often more useful to explore these branding ideas on the website before formalising. Once the brand has been turned into a tested and refined design, it then makes sense for it to be formalised. However, Headscape would not consider itself a branding agency and so would not go on to apply this branding to print material. We would leave print experts to do this. After all we don’t like it when print agencies claim to do the web, so it would be hypocritical of us to claim print expertise too! Over the next couple of weeks we shall explore how those branding elements are applied to a website and how we can test their effectiveness. In the meantime I would be fascinated to hear how others approach designing websites for organisations that do not have a strong brand identity. Please post in the comments below.